An excellent view of a unique way of life. Mac Smith & company provide a first-hand look into the world of competitive music and marching in a documentary style that brings real people from the performance field into your heart. These young men come alive as real people and tell the true story of of drum and bugle corps, which cross the country every summer to bring music to their audiences. 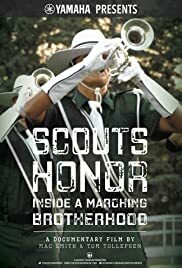 The camera work takes you into a world you can't see from the outside and shows what really goes on as the Madison Scouts, an all-male drum corps, works through a season of growth and development. It's a thrill to see the group work and a lesson in humanity as these uniformed players become individuals you won't soon forget.